Organic Vitamin C: Each Capsule contains 100% Organic Vitamin C made from Organic Oranges. Summary: The majority of the Vitamin C available in stores today is produced from genetically engineered corn. This substance is called Absorbic Acid. 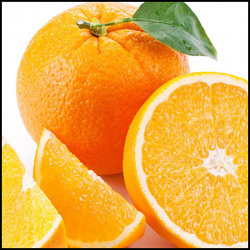 Absorbic Acid is not a true Vitamin C, although widely used as Vitamin C. It is more of the 'shell' of the nutritional profile of Vitamin C. Vitamin C derived from organic food sources contain a complete profile that includes enzymes that allow the vitamin C to be 100% assimilated into your body. It also has its own natural source of rutin, hesperidin, and bioflavonoids. Absorbic Acid as Vitamin C only has about a 20% to 25% absorption rate. Organic Vitamin C Benefits: Vitamin C in its natural form is a potent water soluble antioxidant that the body uses in many ways, including: cellular health and support, production of glutathione (considered the master antioxidant), making collagen (keeps skin looking young), supports adrenal health, skin health, immune health, wound healing, and much more. For more detailed benefits please refer to individual resource articles below.